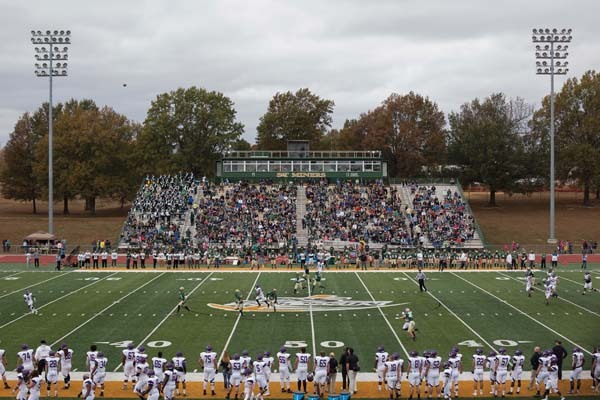 The Miners came from behind in the second half of the Homecoming football game to beat McKendree University 34-27. 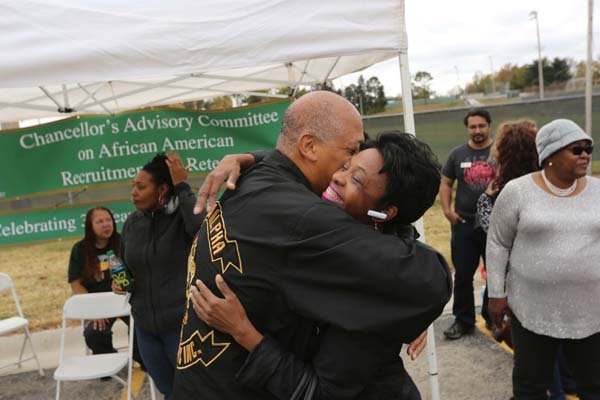 The Chancellor’s Advisory Committee on African-American Recruitment and Retention celebrated its 30th anniversary during Homecoming. Gregory Skannal, GeoE’85, and Joan Montague, CSci’95, reminisce at the CACAARR Tailgate. 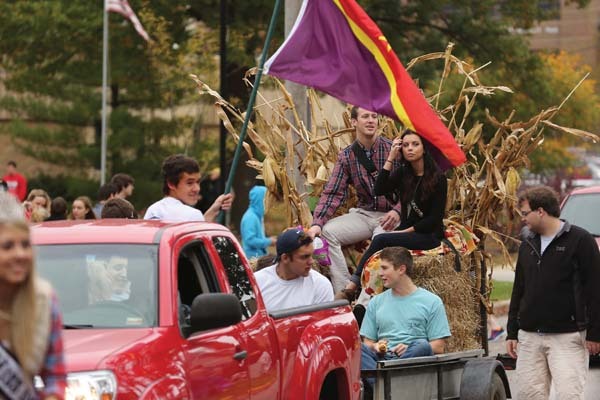 Spectators lined the Rolla streets to watch the first-ever MinerFest Homecoming Parade, sponsored by the Student Union Board. 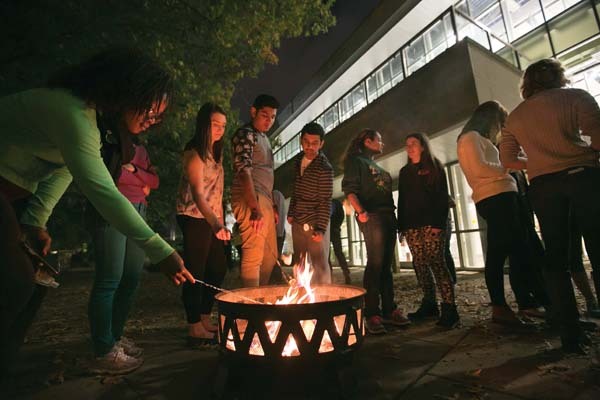 Students made s’mores and watched a movie at a SUB-sponsored bonfire outside Toomey Hall. 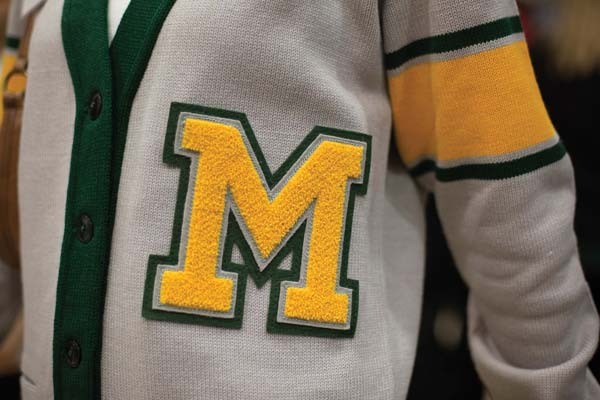 During the Legends Luncheon, the Miner Alumni Association presented vintage-inspired letter sweaters to award recipients. 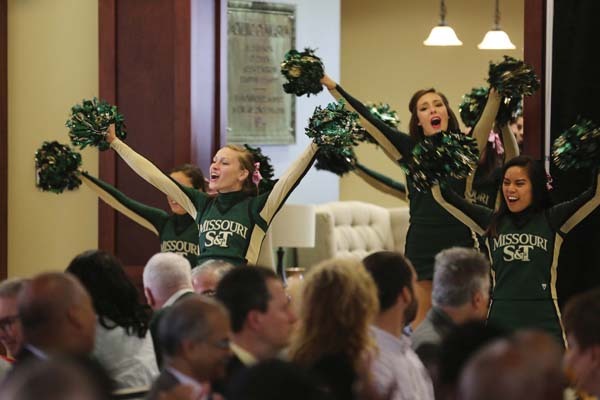 The Miner Cheerleaders shared a bit of school spirit with alumni and guests during the Legends Luncheon. 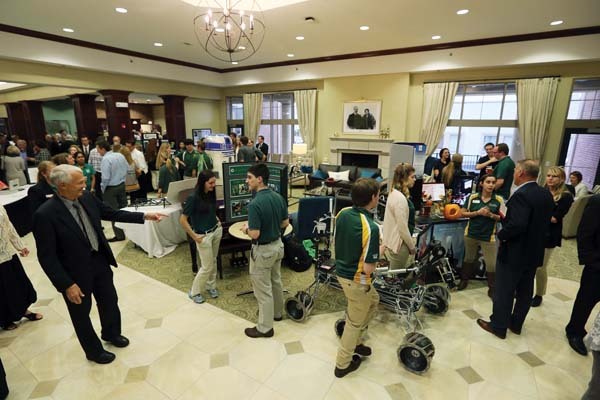 S&T student design teams showed off their work to alumni during the Silver and Gold Gathering at Hasselmann Alumni House. 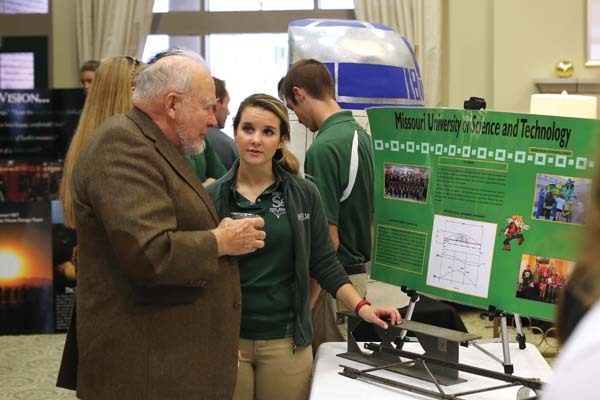 Alumni visited with current students and old friends during the Silver and Gold Gathering.